The Draw has been announced for the 2012 Footy Season . GWS joins the competition , making it an 18 team fixture , with more interstate matches , and a bye period of rest breaks , for all teams. All Clubs are required to travel interstate at least five times . Collingwood , Hawthorn and Geelong , the top three finishers in 2011 have big games scheduled. The AFL hopes these games can draw large crowds , will provide great entertainment , and help to consolidate these teams , and footy's popularity . Geelong unfurls its premiership flag in round 4 , and the Saints face Freo in their first game since the coach poaching saga .The Blues play six games on Friday night , and North Melbourne make the most interstate trips with Games scheduled in Hobart . Queensland Clubs , the Lions and Suns , play the most games in the Saturday afternoon twilight timeslot , and the Cats and Magpies meet twice in GF replays in rounds 8 & 16 . Big Games will continue with the Magpies playing the Bombers on Anzac Day, Freo versus Carlton in the annual Len Hall Tribute Match , Demons tackling the Magpies on Queen's Birthday Monday, Essendon and Richmond clashing in the 'Dreamtime at the 'G' match in round eight, and St Kilda hosting Carlton on a Monday night match. Interstate teams will continue to play each other in the two 'Derbies' between Fremantle and West Coast, two 'Showdowns' between Adelaide and Port Adelaide, two Brisbane Lions- Gold Coast 'Q-Clashes' and, for the first time, two all-Sydney clashes between the Giants and Swans. 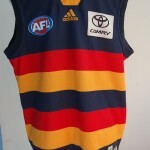 The 2012 AFL fixture promises much. 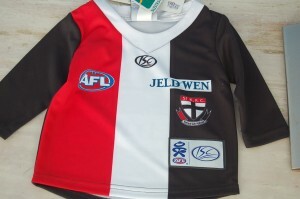 Football fans will be along to watch , wearing their football jumpers , jerseys , guernseys . 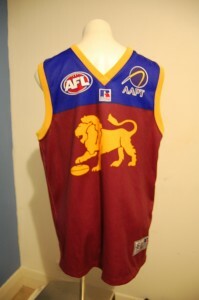 The 2011 AFL competition is providing on and off the field entertainment , as teams race to the 2011 Finals Series . Round 20 sees Collingwood , making a rare trip away from their MCG home base , to play Port Power in Adelaide . 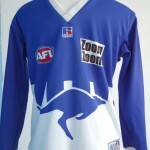 St Kilda take on Freo in Melbourne , for Friday night footy , and Tassie is host to the Hawks and Kangaroos , in a prelude to the Kangas playing in Tasmania in2012. In Geelong , Gary Ablett will face his old club , the Cats , with his new team the Gold Coast Suns , and in a battle of the underdogs , the Lions are home to the Crows . Melbourne Demons , hoping for a win , to quell on , and off field dramas , are playing Carlton at the MCG , in a traditional Saturday afternoon game of footy . In the ongoing battle for top eight places , Essendon play the Swans on Saturday night in Melbourne , and the luckless Tigers face the Eagles in Perth . The Doggies are having a much needed rest . Excitement is high , close results are predicted , and epic struggles are promised , as teams slug it out for the holy grail of AFL dreams , a place in the Finals . 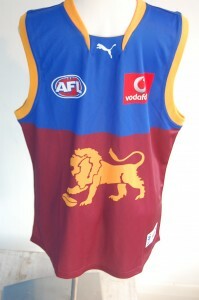 Fans will be along for the ride , cheering their teams to victory , wearing their football jumpers , jerseys, guernseys . Two closely contested games were played out on Easter Saturday . In a thrilling finish the Gold Coast Suns defeated Port Power in Adelaide . The Gold Coast Captain , Gary Ablett , played a pivotal part in their win and has perhaps , now , silenced criticism , for staying in Melbourne for 2 extra days after their last defeat. 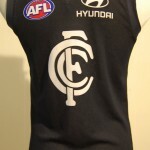 Carlton were successful against Adelaide , snatching victory by one goal . The beleaguered coach of the Crows , Neil Craig , will be under increasing scrutiny , as his team has had a poor start to the Season . The eveness of the teams in the competition are reflected in the close results of all matches played so far . The Anzac Day blockbuster between Collingwood and Essendon , and the following days Geelong Vs Hawthorn match , promise much for eager footy fans . 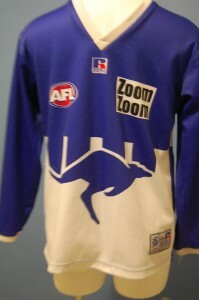 The third round of matches for the 2011 AFL Season, saw Collingwood beat Carlton , Geelong thrash Port , Western Bulldogs annihilate the Gold Coast Suns , Freo beat Adelaide , Sydney outplay the Eagles , and Hawthorn thrash Richmond . St Kilda's dismal start to the season continued when they performed poorly against the youthful Bombers in show off red shorts , and Melbourne snatched defeat from the Brisbane Lions . 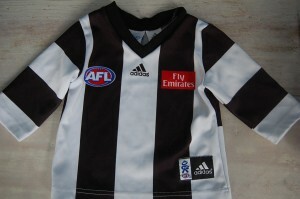 Collingwood appear unstoppable in their relentless pursuit of the 2011 premiership flag . A record breaking crowd of 88, 000 + delirious fans revelled , in the unfurling of the 2010 premiers flag , pre match at the MCG. All weekend , fans streamed into grounds in their football jumpers , jerseys , guernseys , to watch from the grandstands , listen via radio , or view the Match on TV . Nothing beats the fast action , or the adrenaline rush , when your team hits the front . Its not for the faint hearted , nor are the new style football jumpers / guernseys , which mould to fit the players body shape like a glove ! Last weekend saw mixed results , for all afl football teams . Collingwood , continued its winning streak , the Saints eked out a draw against Richmond , but lost Lenny Hayes , for the rest of the season to injury . The Gold Coast Suns , playing their first AFL game , were thrashed by the Blues , and West Coast upset the Power at home to win . Geelong scraped home against Freo , whilst a strong Sydney team beat the revitalised Bombers . Hawthorn and the Bulldogs beat their opponents , the Demons and the Lions respectively . to watch the Game . Who can stop Collingwood ?How many games will the Suns lose ? When will the Bombers win again ? All questions to be answered at the next round of matches . 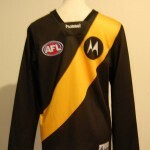 Its fun , its exciting , its AFL football , and fans wearing their football jumpers are along for the ride . !